ORGANISM. A Review — PULP. Antony Youssef forces you to revaluate your perception of your surrounding environment in his newest installation, ORGANISM. 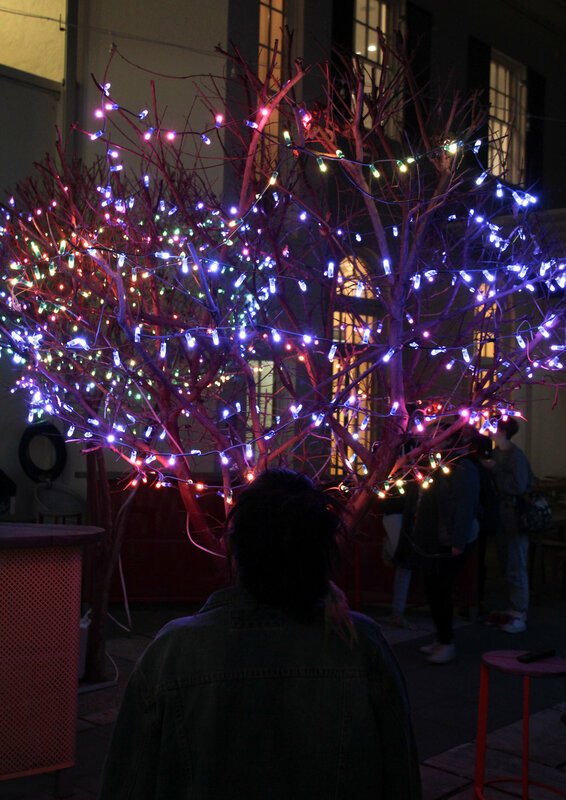 From August 13 to 18, between 5 and 8pm, Youssef has converted the Holme Building Courtyard into an interactive micro-forest of illumination. Taking inspiration from works displayed in Vivid Sydney and the Dark Mofo Festival in Hobart, he strived to challenge artistic norms through this eccentric and charming display. The motivation behind this exhibit was driven by society’s depreciation of the lifeform that is our surrounding environment. Youssef aimed to express the “dichotomy of the monument as both inanimate and alive”, with interactive light displays woven through seemingly barren trees. At first glance the small community of trees appears lifeless, however, through a variety of stimuli the visiting individual can bring them to life. 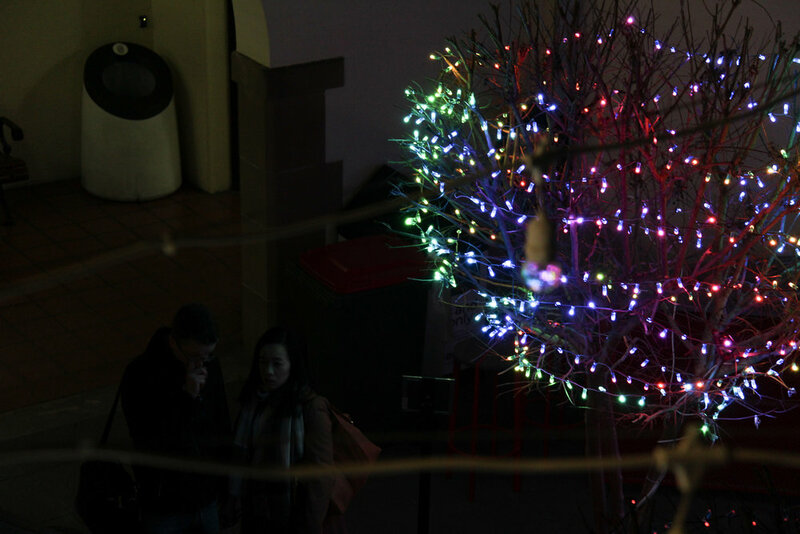 You are greeted at the start of the installation by ‘the lonely tree’, which requires you to converse with it by way of text message to then be rewarded with a mesmerizing light display. Perhaps a commentary on our reliance on phones as a means of interaction? A variety of other stimuli are requested by the subsequent trees, including light, water and movement (which is needed for ‘the shy tree’, my personal favourite). I managed to chat to Antony a bit about his creation process for this instalment. He revealed to me an extraordinary level of dedication to his project, learning to code C++ from scratch to program the array of microprocessors used for each of the trees. The use of seemingly dead trees highlights the way we perceive a lot of our surroundings. This also contrasts nicely with the hypnotizing light display that is activated through interaction, giving these trees a hidden soul. As a global community there is an increasing disconnect with our habitat thus demanding an increasing need to extend more moral concern to our environment. Through this art display, Youssef reinvigorates this discourse to all who visit. The anthropomorphising of these seemingly inanimate monuments reminds us to treat our setting with more respect. I truly recommend visiting this exhibit. It is a beautiful fusion of technology and environment as well as a fun incentive to reflect upon our own perception of our habitat. Click on photo to see next.